The social sciences, including political science, are a challenging set of disciplines because they address issues of human power and the institutions that shape and structure power and, as a result, because the social sciences study the powerful. This positions the social sciences as both necessary and challenging, and this position helps to explain resistance to supporting the social sciences. In the post-World War II years, the United States made a national commitment to research funding. The National Science Foundation was established in 1950; in 1965, the National Endowment for the Humanities was founded; and the National Endowment for the Arts was created the same year. As the United States made positive commitments to supporting research and scholarship as national policy, notably absent was the founding of a National Endowment for the Social Sciences. As the American Political Science Association Task Force’s work on Interdisciplinarity observed, private foundations were the initial source of funding for political science research in the immediate postwar era, with the “paramount … desire to create a vehicle for promoting large-scale lasting social change” (87), with the Russell Sage, Ford, and Rockefeller Foundations among the most prominent. As the world grapples with major issues of climate change, growing inequalities of wealth and power, human movement in migration, immigration, refuge- and asylum-seeking, and the disappointments of the “third wave of democracy,” political science identifies these questions and is a discipline well positioned to provide answers. Campus community members are invited to bring a lunch and spend an hour speaking and practicing Spanish with others on Fridays this semester. 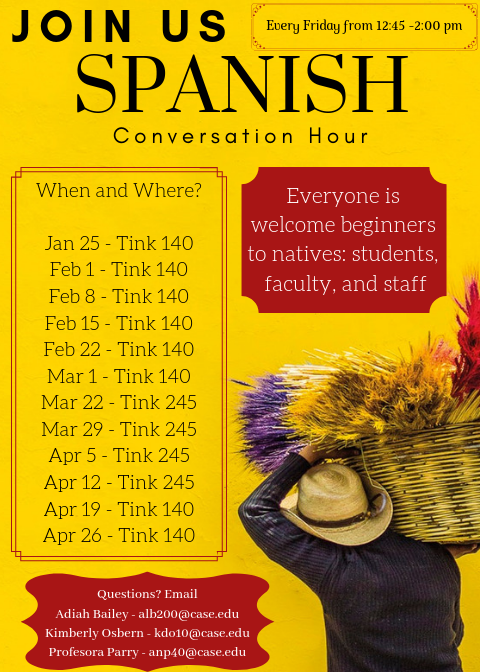 The conversation hour brings together native Spanish speakers, Spanish students and Spanish language enthusiasts to meet and practice the language in a relaxed setting. Celebrate the Year of the Pig and embrace the Chinese heritage with food, drink, performance, fashion show, red carpet, signature wall, and multiple Chinese culture experience. Ticketsstart at $6. This program will explore the practical consequences of the Janus v. AFSCME decision for public sector union representation and provide and overview of ruling. This event is free and open to the public. Join Estela Mara Bensimon, professor of higher education at the USC Rossier School of Education and Director of the Center for Urban Education, for a discussion about her development of the Equity Scorecard—a process for using inquiry to drive changes in institutional practice and culture. Event is free and open to the public, registration is required. The Constitutional Discussion Club invites you to join in our biweekly meetings to discuss our chosen topic, voting rights, and assist in planning our annual forum. Contact David McGrath or Amanda Spangler for more information if interested. Join the Cleveland Council on World Affairs, the City Club of Cleveland, Global Cleveland, International Partners in Mission, and the Northeast Ohio Consortium for Middle Eastern Studies (NOCMES) for a conversation with Joshua A. Gelzer, J.D., Ph.D., one of the nation’s leading voices in counterterrorism, about America’s continued war on terror. Event is free. Join the CWRU community in Food for the Soul, a celebration of soul food and poetry/prose. Members of the community will be sharing quotes, speech passages from MLK or others on similar themes on how Dr. King would respond to issues in our country today. This information session will assist undergraduate students in the arts, humanities and social sciences find research and creative projects that provide experiential learning. SOURCE provides specific funding to researchers in these disciplines. More information on this and other sessions can be found at the SOURCE website. Roman Cathollic Bishop of Cleveland, Nelson Perez, will provide a philosophical, theological, and personal perspective on the human aspects of immigration and seek to broaden our understanding of this important legal, social, and political issue. This event is free and open to the public. Join Juscelino Colares, Schott-Van den Eyden Professor of Business Law and Professor of Political Science, for a discussion about the Trump Administration’ trade policy. These paid part-time or full-time internships allows students to work with neighborhoods and communities to organize and increase public awareness of local, state and national issues. To apply for an informational interview, call 216-861-5200. Ohio Citizen Action will be at the CWRU Career Fair on February 11th. Year-round, unpaid internships are offered in both the Cleveland and Columbus offices. Fall, Winter and Spring applications are accepted on an ongoing basis. The application period for Summer internships begins in February and ends when all positions are filled. Summer internships are offered at the DC and NYC offices. Interns provide research support and work in a variety of departments. Summer 2019 deadline in February 28 at 5pm. A number of Peace Program Internships are offered. Summer 2019 applications are due March 1, 2019. The FFP offers internships at their D.C. office for students interested in conflict analysis, peace building, security and human rights. Applications for Summer are due March 15. Kampelman Fellows join a team of world-class experts at an independent, bicameral, bipartisan, inter-branch federal agency, the Helsinki Commission, which advances American national security interests by promoting human rights, military security, and economic cooperation. Summer 2019 fellowship applications are due March 15. Refugees International offers a number of internships during the fall, spring and summer at the Washington D.C. regional office. Applications for Summer are due March 15. UNHCR’s Regional D.C. office offers internships each of six units: Caribbean, External Relations, Private-Sector Fundraising, Public Information, Resettlement, and U.S. Protection. Applications for Summer 2019 are due March 15. 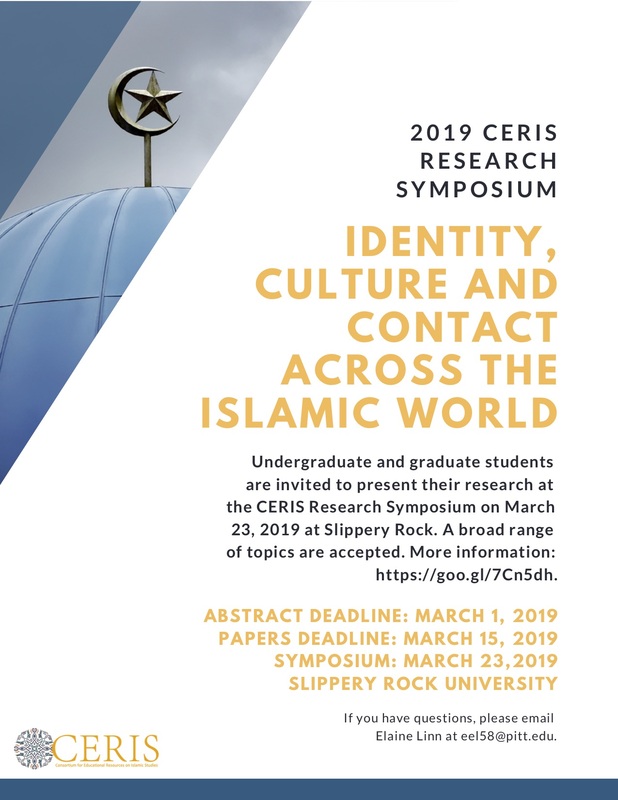 Undergraduate and graduate students are invited to present their research at the CERIS Research Symposium on March 23, 2019 at Slippery Rock. Abstracts are due March 1, papers are due March 15. If you have any questions, please email Elaine Linn at eel58@pitt.edu. Global Witness is looking for a Communications Officer to help support their Communications team on a 12 month contract. The deadline to apply is February 18, 2019. The George S. Traub Memorial Undergraduate Research Fund was established to support declared majors who are pursuing degrees offered by the College of Arts and Sciences related to the history, politics, public policy, or economics of the Northern Ohio region.